This statement (mirrored on the publisher’s website, despite a more qualified rather than declarative statement there concerning the journal’s status) raises a quandary for me, I admit: given this rather limited understanding of the journal’s mission — i.e., exclusively aiming to publish articles on world religions and articles on methods for studying world religions — I am unsure how what some of the Academy’s members study now fits the field (at least as defined by this one periodical’s mission statement). I should add that, while I have no idea how old this description of the journal is, I do know that it now seems operative (inasmuch as it was quoted as the rationale for a rejection of a co-written article that I recently submitted to the journal). I assume readers can easily come up with an example of a few things they assume a scholar of religion could legitimately study but which is not included in “the full range of world religious traditions” or the tools used to study them. 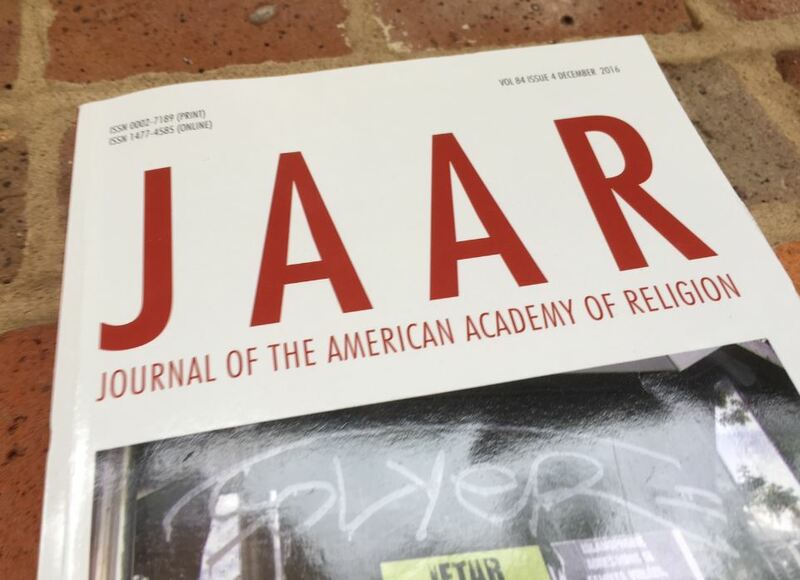 Should JAAR be open to publishing that work? What if you study the Nones? I’m not sure many (yet?) consider that a world religion, regardless how full your full range is. What if, as a growing number do, you study the taxon “world religions” itself? What if you study theories of religion, let alone myth or ritual? And what if, like almost every AAR Presidential Address I’ve read in the journal, you wish to comment on the history of the field, its raison d’être, the ongoing religious studies/theology debate, or any of its current institutional conditions? Though the journal is presumably owned by the publisher (I admit to having no idea how this relationship works), as members of the Academy I assume we have some role in determining its identity and scope; after all, even just a quick look through our annual conference’s program units will make clear that the world religions and ways of studying them hardly exhausts the field today. 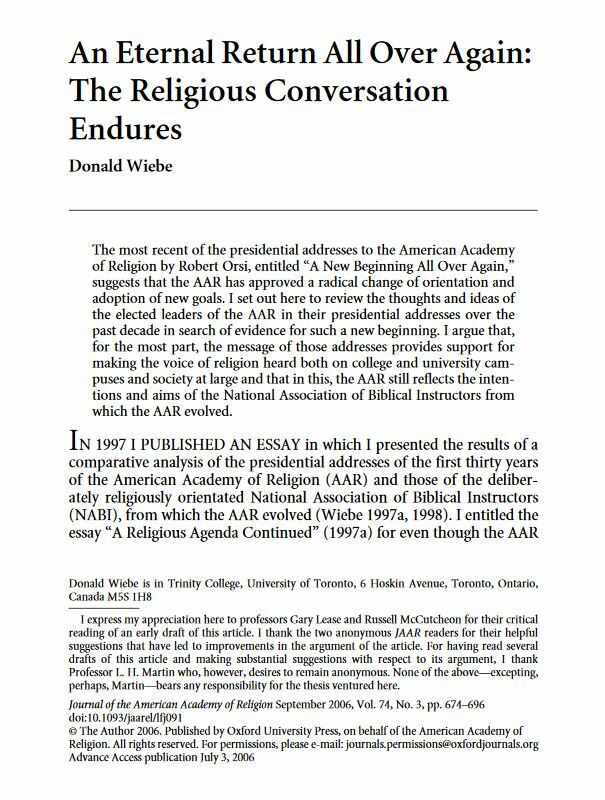 This entry was posted in Faculty Blog, Relevance of Humanities, Religion in Culture and tagged American Academy of Religion, Boundaries, JAAR, Journal of the American Academy of Religion, method, methodology, Policing, World Religions by Russell McCutcheon. Bookmark the permalink.